HuHot menu prices on this page. HuHot is an American restaurant chain specializing in a Pan-Asian create-your-own stir-fry cuisine. The first HuHot restaurant opened at Missoula, MT in 1999. As the fastest growing Mongolian Grill concept in the United States, it has reached the status where there are already 54 HuHot Mongolian Grills in 16 states with the vast majority located in the Midwest and the Mountain West states. This success can be attributed to their sound business strategies which include; focus on internal business operational optimization and differentiated growth by emphasizing fast, fresh, healthy, customer-oriented full-service restaurants. Below are the latest HuHot menu prices. In HuHot’s create-your-own Mongolian barbecue, you are always supplied with fresh beef, chicken, halibut, crab, mild sausage, salmon, seafood medley, swordfish, calamari, cod, hot sausage, mahi-mahi, pork, scallops, shrimp and tilapia to mix and match with your favorite sauce that ranges from the sweetest to the spiciest flavors imaginable. HuHot is a bold, exciting oasis in a desert of boring restaurant concepts. It’s a place where you can be Genghis Khan; at least eat like him and his men with everything possible on top of the shield over an open fire. HuHot provides this unique Mongolian style of eating where you can be the boss and master for your every meal. 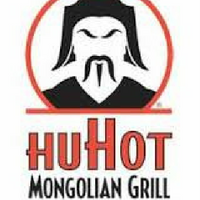 For more information about HuHot hours or the latest news and updates, visit their official website. Does the HuHot website offer nutritional information? Diners with food sensitivities and dietary restrictions can visit the HuHot official website to view a complete Allergy & Nutrition Guide. Where is the nearest HuHot Mongolian Grill near me? A quick stop on the official HuHot official website and diners can easily locate the closest HuHot Mongolian Grill and get directions. With locations throughout the US, there is bound to be one near you.